Welcome to 'Artists Illuminated'. A series where we turn the spotlight on our favorite holiday market artists and makers. 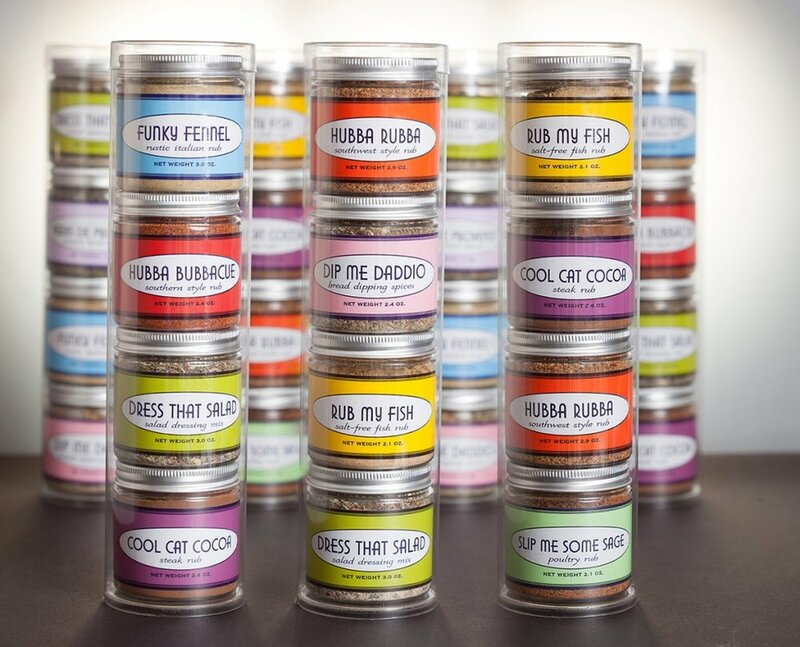 Today we are featuring South Boston & Salem Holiday Market maker: Hubba Hubba Foods. Hubba Hubba Foods began as holiday stocking stuffers for friends and family. When everyone was coming back with the empty jars for more, Hubba Hubba was born. A decade on, still working out of a quaint kitchen in York, Maine, Hubba's line has extended to spice blends and perfected the no-added-fat granola. For those who can’t stand the bland, Hubba Hubba Foods offers up 11 unique spice rubs and herb blends to tantalize your taste buds, plus a no-added fat granola. All Hubba Hubba products are made in small batches at their coastal Maine location with complex flavor combinations you won’t find anywhere else. Look for Hubba Hubba Foods at the South Boston & Salem Holiday Market.